Turbidity in the water is caused by suspended matter such as silt, clay, and algae that cause light to be scattered and absorbed, not transmitted in straight lines through the water. Secchi disk transparency, and therefore water clarity, is strongly influenced by turbidity. High turbidity readings are often found in water adjacent to construction sites or where storm water runoff from rain events erodes unstable soil and causes turbid water in the pond. Turbidity is measured in Nephelometric Turbidity Units (NTUs) on a nephelometer. A nephelometer shines a white light into a sample of water and then measures how much of that light is reflected at a 90o angle off particles in the water and onto a sensor. This is the standard method used to measure the clarity of water in lakes, ponds, and streams. Across all New Hampshire the median for lake and pond turbidity is 1.0 NTUs, maximum is 22.0 NTUs. We report the median (middle) rather than the mean (average) since statistically the median does a better job of minimizing the impact of outlier readings. For example a disturbance to the bottom of the pond just prior to sampling could cause outlier turbidity readings. Those outliers could be the result of a movement by the boat anchor or sampling equipment touching the bottom of the pond and raising up some sediment just prior to when the hypolimnion sample is retrieved. The August 2014 and August 2010 hypolimnion samples appear to be just such readings. Median numbers would be slightly higher than those above. A table of the Clough Pond Turbidity Data (pdf) from all sampling events since 2002 is available. We included two older data points at the top of the table for reference purposes as they were taken before the Volunteer Lake Assessment Program was initiated. We do not include them in our analysis. A table of the rainfall that fell at Concord Airport in the three (3) days preceding the day when the turbidity samples were taken is also available. Concord Airport is the closest source of rainfall data for Clough Pond. The state biologist confirms that the use of the Concord Airport readings as recorded by NOAA is the best available source for Clough Pond rainfall. The airport is less than 10 miles from the deep spot in Clough Pond where the samples are taken. NOAA presents the daily rainfall measurement in tenths of millimeters. We entered them into this table in millimeters and then converted that to cumulative inches for charting purposes. This first chart shows the measurement of turbidity in Clough Pond in each of the three (3) thermal layers of the pond over time. Note that the first two (2) epilimnion measurements were taken back in 1992 and are included here for reference only. Regular sampling started in 2002 and continues to this day. Click chart to get an enlarged view. This second chart shows the measurement of epilimnion turbidity in Clough Pond and the rainfall that fell during the 24/48/72 hour periods just before the turbidity samples were taken. Click chart to get an enlarged view. Notice in the chart above that there is a correlation between the measure of epilimnion turbidity (bold black line) and the rainfall lines. The spikes in the measured epilimnion turbidity are often aligned with a spike in rainfall. While there is not a perfect one-to-one alignment as to the scale or occurrence of the spikes, there are enough similarities in the graph to show that rainfall is affecting turbidity levels here in Clough Pond. Differences in spike levels may be the result of how quickly the rain fell in the preceding days. A slow steady rain will not generate as much storm water runoff as the same amount of rain falling in a shorter period of time. The state biologist who reviewed this chart concurred with us that there is a good correlation between rainfall and measured turbidity in Clough Pond. While Clough Pond surely did not receive an identical volume of rainfall that was observed at Concord Airport on these days, it is entirely likely that the volume and frequency were close enough for this analysis. The above graphs show a strong correlation between turbidity in the epilimnion and the amount of rainfall in the Clough Pond area in the days immediately preceding the measurement. Since storm water runoff is known to be a factor in raising turbidity and the data supports a correlation between turbidity and rainfall it can be concluded that much of the epilimnion turbidity is the result of storm water runoff into the pond. Currently no conclusion is drawn about the effect of algae in the pond leading to increased turbidity. While previous years show that there is a correlation in the lower layers of water, we have not yet analyzed this issue anew. Steps should be taken to reduce the amount and/or speed of storm water runoff reaching the pond. Property owners can take simple yet effective steps to minimize the amount of storm water runoff that reaches the pond across their property. The Clough Pond Association, in a joint effort with the NH Lakes Association and their Lake Conservation Corps Program, did six (6) demonstration projects around the pond a few years back. They are marked around the pond by a series of green signs identifying these projects. They are located on the following properties: Town Beach, Bartletts, Tillotsons, Edwards. Rondeaus, and Giles. Contact any member of the Board of Directors for more information about the projects or to explore ways that you can help reduce turbidity in Clough Pond. As to the effect of algae in the pond and its impact on turbidity, no recommendations have been developed at this time pending more analysis. As part of the NH Department of Environmental Services (D.E.S.) Volunteer Lake Assessment Program (VLAP), Clough Pond Association volunteers take samples of the water in Clough Pond during the months of June, July, and August each year. Usually a D.E.S. biologist will accompany the Clough Pond Association volunteers once each summer to validate the volunteers' sampling procedures and to take control samples to certify the results of the samples taken by the volunteers. During each sampling event three (3) samples are taken from different depths at the deepest spot in the pond. Clough Pond stratifies into three (3) thermal layers each summer and samples are taken from the middle of each of those layers. The samples are immediately refrigerated, kept in the dark and delivered to D.E.S. for analysis. Note: Some summers the Clough Pond Association Volunteers only managed two sampling events rather than the preferred three. That was driven primarily by costs. A complete VLAP sampling includes a lot of different measurements and samples of the pond water. including having five (5) different samples analyzed for their phosphorus content. Phosphorus is the only test that is not offered free of charge within the VLAP program. It costs $20 to have each phosphorus sample analyzed and thus the Clough Pond Association incurs a $100 obligation each time samples are taken. In the past if we were not always able to pay for the phosphorus testing we have not taken any samples at all. We hope to change that in the near future by finding additional funds specifically for that testing and or move the $300 financial obligation to the town or the state. In Clough Pond the primary cause of turbidity varies by the depth at which it occurs. The turbidity in the epilimnion or upper layer of water is usually caused by storm water runoff. The cause of the turbidity at the lower levels is usually more influenced by algae or the decomposition of organic compounds on the bottom of the pond. The algae component remains to be further analyzed at this time. High turbidity can cause a number of harmful effects to life in the pond. Particles in the water can clog fish gills and reduce their ability to fight off disease. It can lower their growth rates and affect egg and larval development. High turbidity can raise the temperature of the pond water thus reducing the amount of dissolved oxygen in the pond. High turbidity, by reducing the light in the pond can inhibit photosynthesis and the growth of aquatic plants needed as a source of food for wildlife. Fish, turtles, water fowl, the legendary "Cloughie" the Clough Pond Monster, and of course our own "Clair de Lune" are among the wildlife in our pond that depend on these aquatic plants for food. 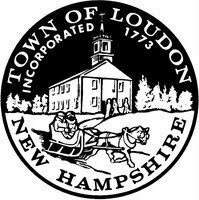 There is no direct cost to the Clough Pond Association or the Town of Loudon for this testing. D.E.S. picks up the cost of the laboratory analysis, the biologist's time and travel expenses, and the cost of maintaining the VLAP infrastructure. Clough Pond Association volunteers supply the labor to pick up the equipment and supplies necessary for each sampling from D.E.S. in Concord, take the samples from the pond, and deliver everything back to D.E.S. for analysis. Note that while there is no direct costs associated with the turbidity analysis, VLAP testing is not totally free and the Clough Pond Association does incur a $100 obligation for each sampling session it undertakes. 2014: "Metalimnetic turbidity was slightly higher in June and August likely due to algal growth, but was within the average range for that station. Hypolimnetic turbidity increased steadily from June to August due to the release and accumulation of organic compounds under anoxic conditions. Inlet turbidity was slightly above average for that station, but decreased from June to August. Outlet turbidity was slightly elevated in July, again potentially due to a significant storm event prior to sampling." 2013: "Epilimnetic turbidity was low, metalimnetic turbidity was slightly higher in July likely due to the elevated algal growth and a layer of algae, and hypolimnetic turbidity was elevated likely due to the release of organic compounds from bottom sediments under anoxic conditions." Note: Anoxic refers to a lack of oxygen in the water. 2012: "Metalimnetic turbidity was slightly elevated likely due to a layer of algae at that depth. All other turbidity levels were low."